The 'usual' approach moves to the 3-4, 3-5 and 4-5 points are on a given side. One exception from recent times has been in the Chinese fuseki. 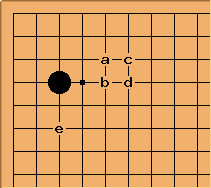 The normal approaches to 3-4 are at the points a, b, c and d. A play such as White e can be answered by enclosing the corner at a or b, which puts Black ahead on territory locally. In the particular case of the Chinese formation adopted by Black, here has become accepted. 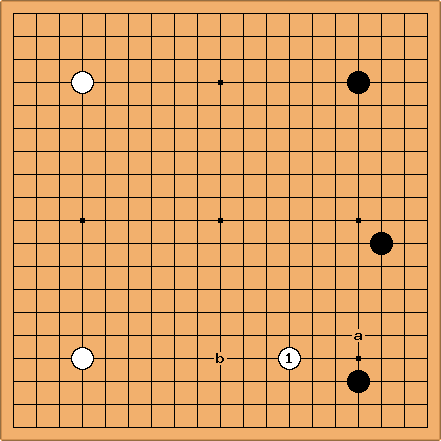 If now Black a, White b gives a playable overall position. Therefore at b has become a pro variation. See 3-4 point approach from the wrong direction for more on this. 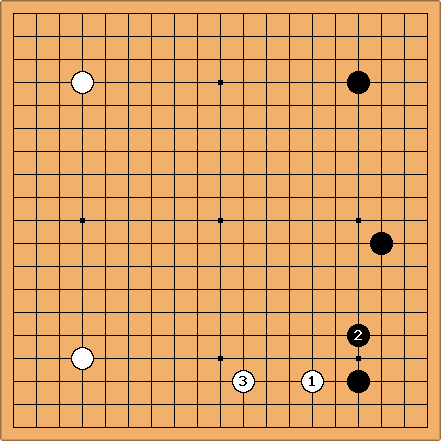 Bill: Go Seigen has suggested , after which - is a normal continuation.